Fee and Dividend or TEQs? 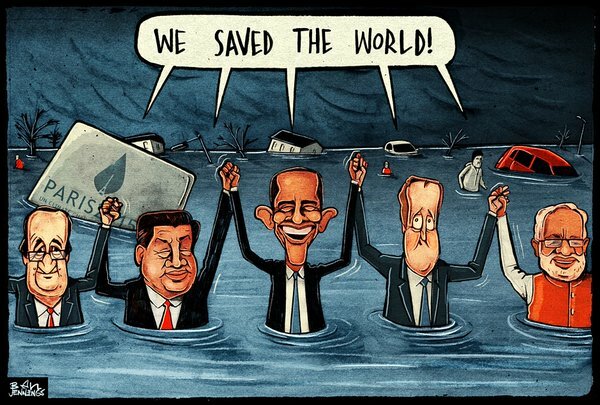 In the aftermath of Paris COP21, what *should* effective climate policy look like? Meanwhile, the mainstream media seem to be doing their best to put the world to sleep again. One excitable front-page headline I noticed in The Observer proclaimed: “World leaders hail Paris climate deal as ‘major leap for mankind’: Almost 200 countries sign historic pledge to hold global temperatures to a maximum rise of 1.5C above pre-industrial levels”. The same article concluded on p9, with a quiet mention that: “there will be no legal obligation for countries to cut emissions”. In truth, the good news is found elsewhere, with the ever-swelling numbers of ordinary people realising that our future is being destroyed in our name. In the print edition of the paper though, one tiny voice of sanity did sneak in to a sidebox, as climate scientist James Hansen commented on the agreement: “It’s a fraud really, a fake”.